Day 1: After an early breakfast at the hotel in Marrakech, our driver will pick you up and take to to the heart of Morocco's High Atlas mountains. 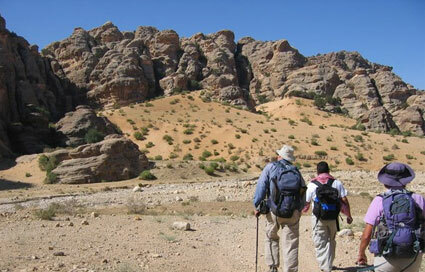 The trip starts from Imlil at 1740m, the big Berber Village, situated at 65km on the south side of Marrakech. Here you will meet the team who will accompany you during this amazing trip. The driver will drop you off in the village, the multeers will deal with your luggage, food & all other equipment will be offered for our guests. We start the walk with an experienced mountain guide through the Berber Villages, following a mule track which will take you to the mountain hut via the refuge at 3200m. Our staff will be waiting for you with a tasty mint tea & a smile! The shrine Sidi Chamhrouch at 2500m, is where you will have your picnic lunch prepared in advance by our cook. After lunch and a short break, you may need to continue toward the hot shower that's available to clean up and be ready for the next day. Option: Summer time allows for use of tent. Day 2: We wake up early to avoid the sunny day, breakfast around 5am and we begin the climb at 5.30am. Each of you may need to pack a lunch. A short hike until you get to the point above the hut, where you have a short break with nuts, water & oranges or packed lunch. After 3 to 4 hours walking up the hill you will be able to see all the High Atlas mountains, its valleys & Berber Villages. A break of 45min on the summit will allow us to take picture;s & enjoy the views before our descent to the hut, a lunch will be ready for you there. After lunch you walk down hill towards Imlil by the same route. You have the option to stay at the hut for second night, depending on your flight time. 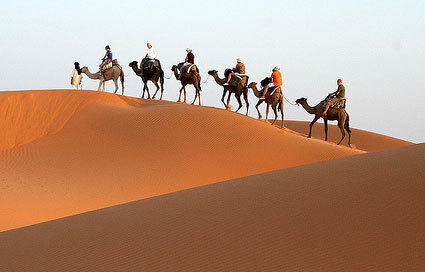 We return to your riad in Marrakech or the airport. Day 1: Departure from Marrakech to Imlil at 1500m, to meet up with the muleteers and for the start of the hike. We pass through Tizi N'Tamatert and have a picnic lunch in the valley. 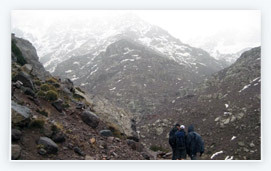 Hike to Tachddirt from where we will have a magnificent view out over the highest pass of the Toubkal range. Day 2: After a good Berber breakfast, we began our descent to the Imenane Valley through Ouansekra, Tamguist, Tineghourine and Ikkis villages. We eat lunch at the foot of the valley, then a small hike to Iguersiouale Village from where a Land Rover will take us back to Marrakech. Day 1: Marrakech at 450m, to Asni, Valley Has Misane, Imlil at 1750m, Refuge Toubkal at 3200m to Durée. 5hr walk/1hr30min of transport. Day 2: Refuge of Toubkal base Camp at 3200m, to the top of Toubkal at 4167m. We return to the same camp. 5hr walk. Day 3: Base camp of Toubkal to Sidi Chemharouch, Aremd, Imlil, Asni and return to Marrakech. 4hr walk/1hr of transport. Day 1: Departure of Marrakech towards Asni, then to Imlil. We return with the team of the muleteers.We then head towards the collar of Tamatarte at 2262m for lunch, then we walk towards the Valley of Imnan to spend the night in a lodge at the Village Will deOunskra. 4hr walk. 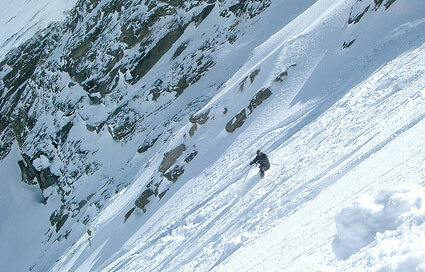 Day 2: A beautiful rise enables us to reach the top of the collar of Tachaddirte at 3200m. The decent towards the Village of Timichite to spend a second night at the inhabitant, after lunch. 6-7hr walk. Day 3: A half day of walk allows us to arrive at the Valley of Ourika, a very beautiful valley. We have a meal, then transfer to Marrakech. 3hr walk.